UK Helping America In Attacking Pakistan? 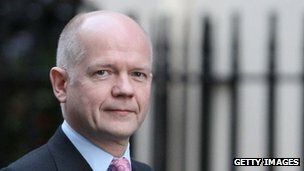 The Government is coming under increasing pressure to reveal if the UK is providing intelligence to help the US carry out drone strikes in Pakistan. Be it a natural catastrophe, man-made brutality, an economic nose-dive or fatal epidemics; Pakistan has been falling prey to the contamination of time, trauma and transition. Just when we thought we had started rehabilitating after the disastrous floods of 2010, another torrent for Sindh (a province in southern Pakistan) was waiting around the corner. In spite of its magnitude, it did not frighten us as much as the one before this did. One may comprehend that we as a nation have come out of the past devastation so strong that no such calamity can hold us back. As a matter of fact, the rationale is slightly different this time around. Without tagging our attitudes with the expressions like 'heartless' or 'inhumane', one needs to underscore other angles to this dilemma. President Asif Ali Zardari, in Dubai for nearly two weeks for medical treatment, may return to Pakistan on Sunday night, two sources familiar with the president's travel plans said. 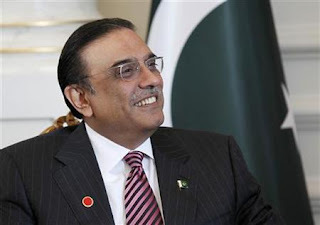 "He will fly out tonight (Sunday night)... he will leave in about two to three hours," a worker from Zardari's Pakistan People's Party told Reuters. "He is perfectly fine now and was just waiting for the doctors to give him a go ahead to travel." Another Pakistani source in Dubai said Zardari was expected to leave later on Sunday but gave no specific time for the departure. They said Zardari was flying back to Pakistan but did not say whether he would land in Islamabad or Karachi. About 30,000 Islamists staged a protest on Sunday to condemn the United States and show support for Pakistan's military, which has reasserted itself after a cross-border NATO attack and a controversial memo that has weakened the civilian government. Speakers included Hafiz Saeed, a fiercely anti-American cleric suspected of links to the group blamed for the 2008 militant rampage in the Indian city of Mumbai that killed 166 people. Also at the podium was Maulana Sami-ul-Haq, known as the father of the Afghan Taliban, who are fighting U.S.-led NATO forces across the border in Afghanistan. Pakistan's military was humiliated by the unilateral U.S. special forces raid that killed Osama bin Laden in a Pakistani town in May, facing unprecedented public criticism. 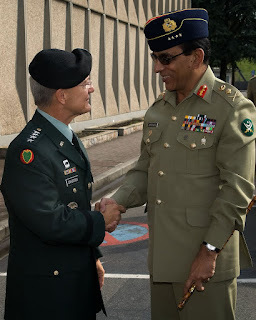 But many Pakistanis rallied behind it after a November 26 cross-border NATO air raid killed 24 Pakistani soldiers, and plunged already troubled ties with Washington to a low point. Pakistan has continued their winning streak and have beaten Bangladesh comprehensively in the first cricket test being played in Bangladesh. Younis played the main role by scoring a double hundred while Hafeez & Asad Shafiq scored hundreds. All Pakistani bowlers bowled well especially Rehman and Ajmal were unplayable for Bangladesh. Bangladesh is a weak opposition but I am liking this new Pakistan which is more consistent and reliable in finishing off the opposition than many other Pakistani sides of recent years. Misbah ul Haq does deserve a lot of credit for this transformation and I would like to thank the English judge in the corruption case regarding spot fixing. 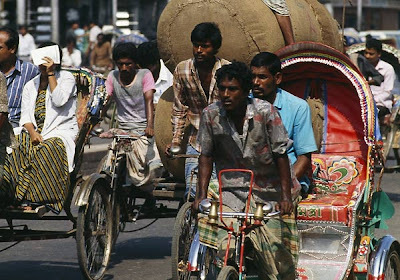 December is the month when Pakistan lost its eastern half of East Pakistan which became Bangladesh in 1971. The cold chilly nights of December send shivers down the spine of Pakistanis forcing them to contemplate about what went wrong. Why our brothers who created Muslim League, who suffered partition of Bengal, who were at the forefront of the movement for the independence of Pakistan felt so angry that they decided to part their ways from the rest of Pakistan. I do not want to blame our brothers from Bengal (East Pakistan) for wanting to secede as they gave us 24 years to correct our wrongs but leaders of West Pakistan, the intelligentsia, the elite and the general public attitude never considered East Pakistan as their integral part. There was a hint of racial, intellectual and martial prejudice and then there was a feeling in Eastern Pakistan that West Pakistan considered them the insignificant other. 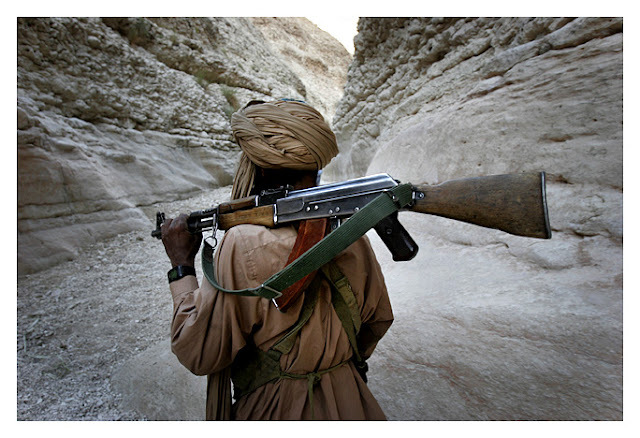 Are Balochis Becoming A Minority In Balochistan? Verinder Sehwag is playing a gem of an innings against West Indies in Indore. He has been a great servant of Indian cricket over the years and have made many fans throughout the world with his masterful batting. He has made triple hundreds before in test cricket but he is the second man to score a double hundred in limited overs cricket after Sachin Tendulkar. He has played in todays match like someone who is in complete command and has ample time for his shots.Darren Sami, the West Indies captain has no options left to stop Verinder Sehwag as he has used all his bowlers both full time and part time. 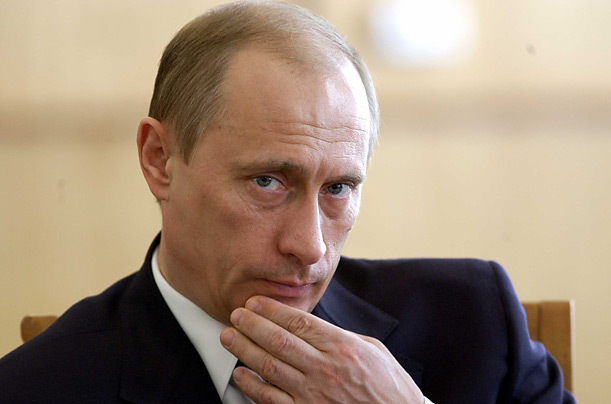 Why is everyone so hell bent on removing a democratically elected president by any means possible. Is it not the job of the people of Pakistan to give their verdict on the performance of this president. 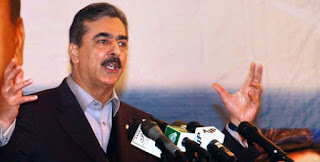 Zardari has made mistakes but has spent eleven years in jail and nothing has been proved against him yet. Please give democracy a chance so that people from Sindh, Khyber Pakhtunkhwa and Balochistan can keep their trust in the federation. PML (N) is asking for Zardari's resignation on moral grounds but what about houses in Park Lane London and businesses in Spain. Now Nawaz Sharif is trying to pretend that he is the cleanest person in Pakistan. They are all corrupt but it is only the job of the people to tell who should be running the country. I am not a fan of Zardari, I know that he is president because all notable Bhutto’s are dead but I cannot second guess the choice of Pakistani people. Why Gwadar Should Not Be Forgotten? I have always been very interested in Gwadar and have been a keen observer of the scaremongering that Western and Indian media have been spreading for a long time. They have never understood what Gwadar really is and what are its implications for the people of Baluchistan. Their only concern is China and how China has helped Pakistan build this port of Gwadar to achieve its own strategic objectives. To understand Gwadar you have to understand Balochistan and its sense of deprivation over last many decades. 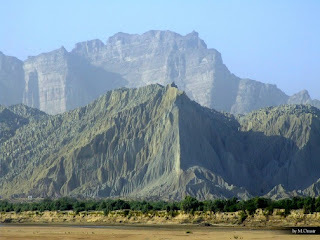 Balochistan has no proper urban centres apart from the capital city of Quetta and this capital city lies on the Pakistan Afghanistan border. It has suffered hugely from the influx of Afghan refugees and general law and order condition over the border in Afghanistan. It does not make sense to have a capital of a large entity like Balochistan on a volatile frontier and then to hope that this city will become the engine of growth of all of Balochistan. PTI chariman Imran Khan is declaring his assets in Pakistan. He says that he has nothing to hide. He asked Nawaz Sharif and Asif Zardari and all other major leaders to declare their assets. He calls on the media wing of both parties to stop lying and declare their own assets before defaming Shaukat Khanum Hospital. 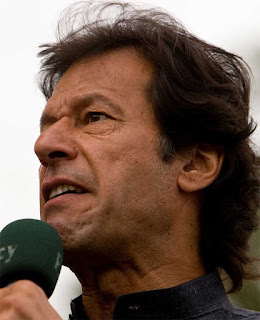 Imran Khan said that he was never in government so he has no way of squandering public money whereas other parties currently in power in Pakistan have corruption running in their veins and people like Hanif Abbasi who have made billions of rupees by selling counterfeit drugs will be sued in court of law to make sure that truth comes out. Meanwhile Shah Mehmood Qureshi has been made vice chairman of Pakistan Tekreek -e- Insaaf. English press’s hatred against the Muslims who are living in United Kingdom must be investigated in great detail. The press spew venom at Muslims anytime it wants. You have to be blind to not see the openly biased coverage of any events involving Muslims. 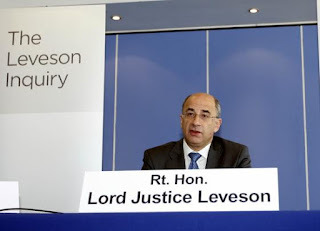 By providing circumstantial evidence and conducting a media trial for weeks on end is not justice but a try to imprint on the minds of general British public that “these guys” are cheats and in the process sow the seeds of mistrust among different communities of Britain. They did the same against the Jews just before the Second World War. Same is true for Muslims now. Let us see if the consequences of this hate mongering are different this time around because the history does repeat itself, sometimes. This situation must be investigated by the Leveson Inquiry in great detail.